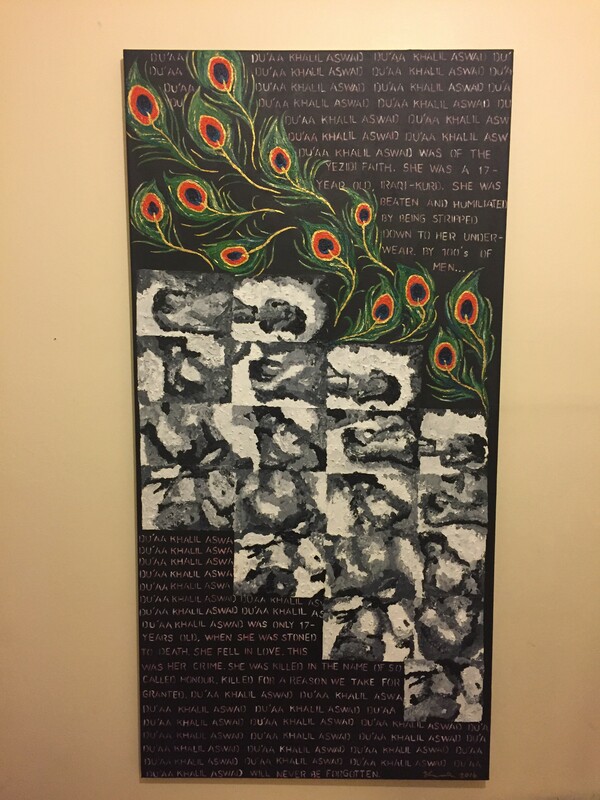 Taus - sister-hood magazine. 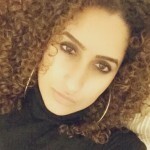 A Fuuse production by Deeyah Khan. 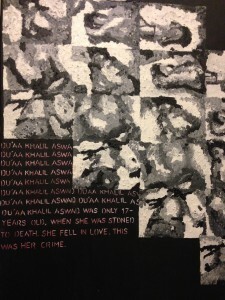 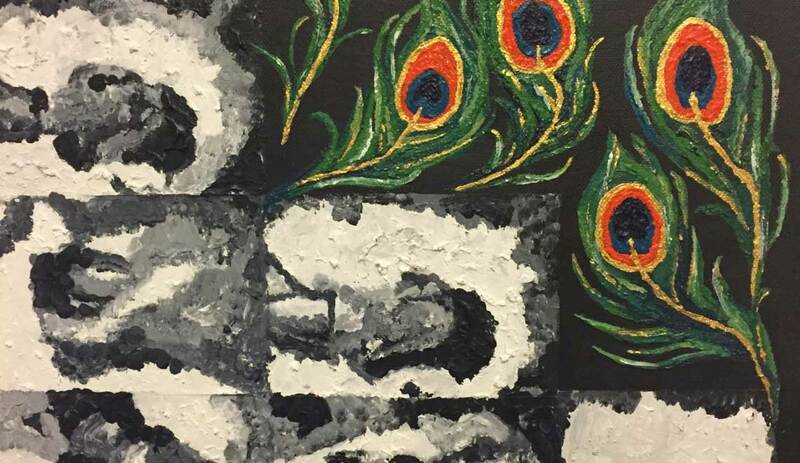 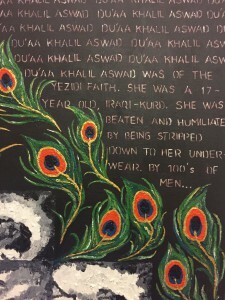 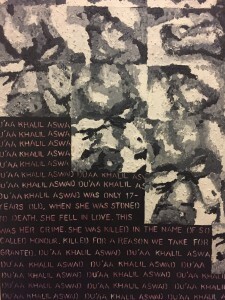 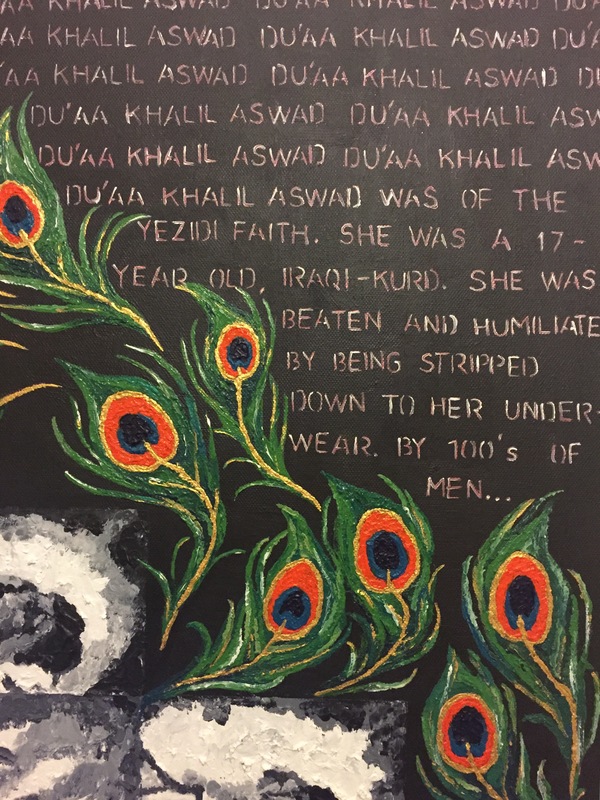 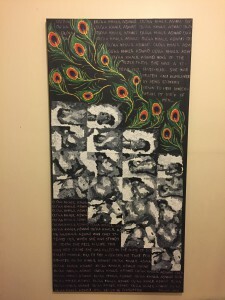 Below are some images of a painting I did, called Taus (which means peacock in Kurdish) for the Global Summit to End Sexual Violence in Conflict, which took place at the London Excel Centre in June 2014. 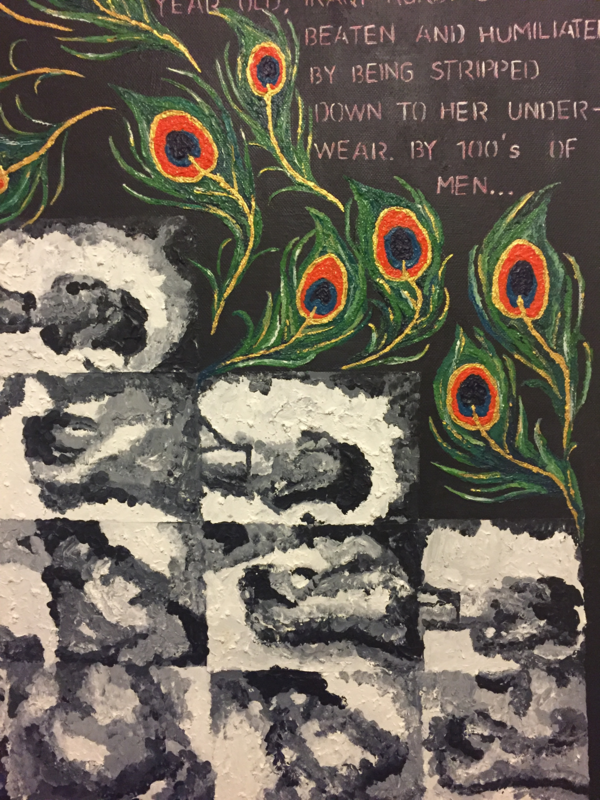 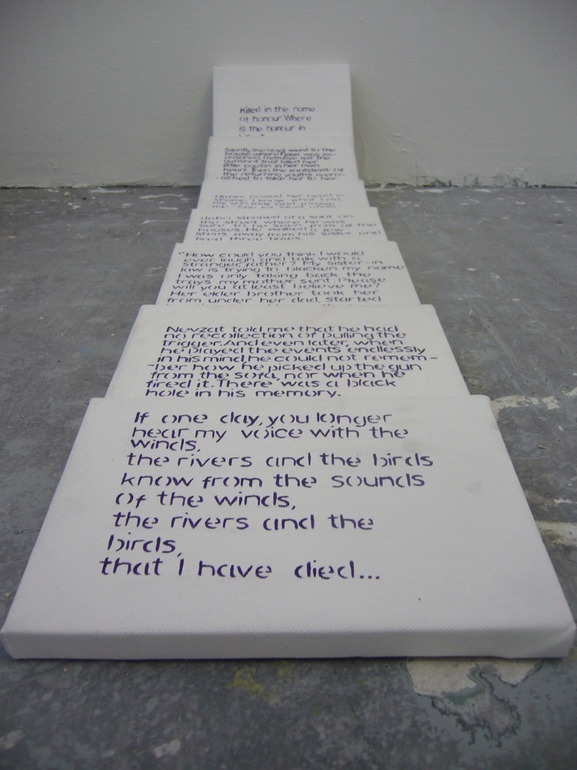 I did a series of small canvases where I hand painted statements from men who had killed female members of their family for various reasons. 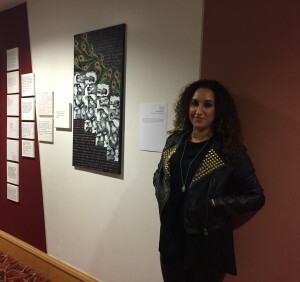 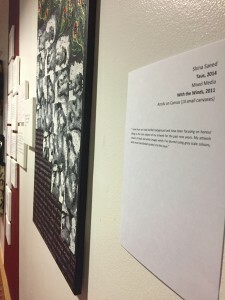 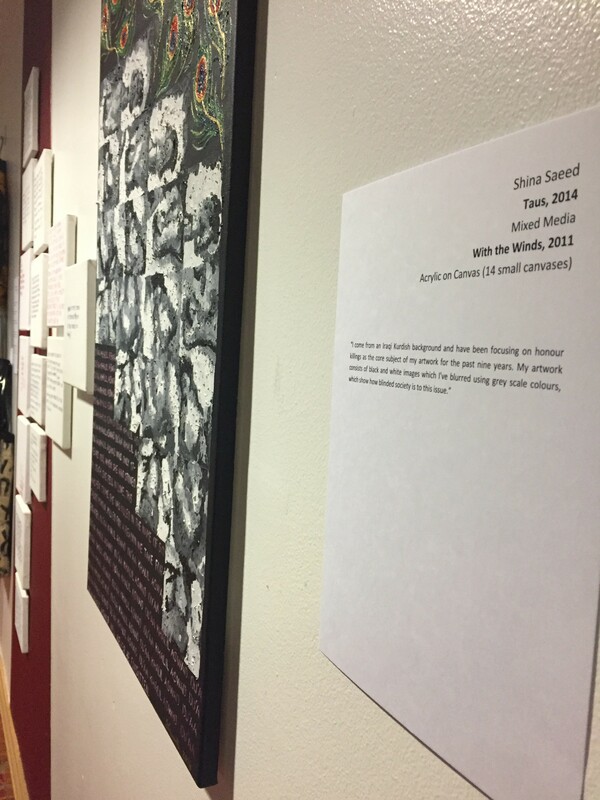 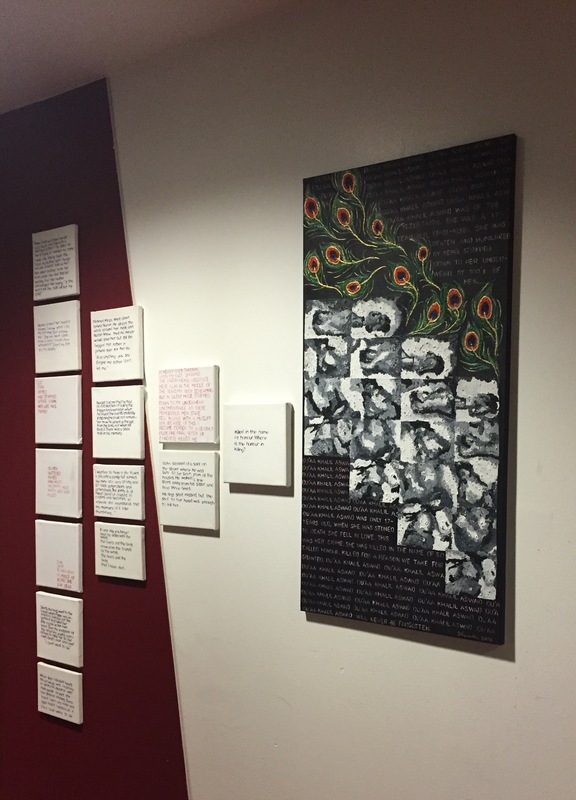 Last year I exhibited the Taus painting and the small canvas series at the Feminism in London event.